The recipe for the traditional muscle car was simple. Take a plain-Jane, midsized offering and re-engineer it for performance: big engine, big tires and, in many cases, big graphics. That plan of attack gave us a laundry list of tire shredders, most sporting now iconic badges on their flanks: Oldsmobile 442, Chevelle SS, Plymouth Road Runner and more. 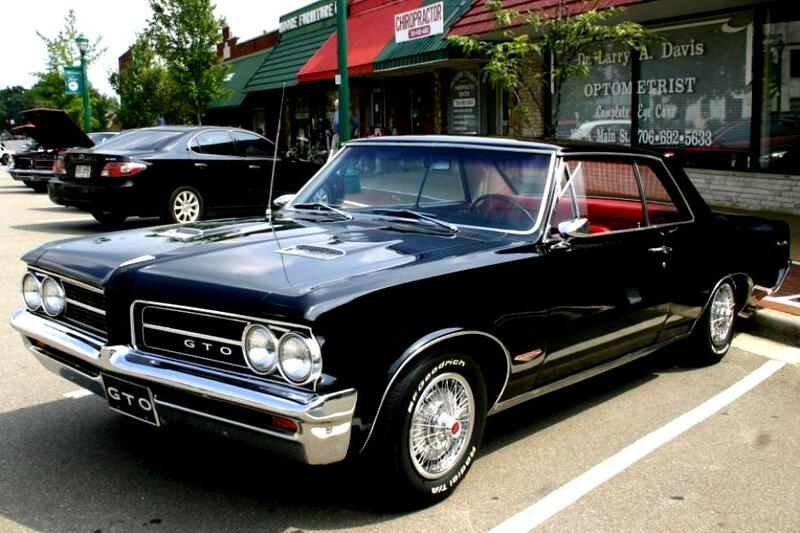 Pontiac’s entry into this field was the one that many consider to be the originator of the species: the GTO. The early ’70s fuel crisis removed most muscle cars from the showroom, but the smaller pony cars continued. After 2002, however, both the Pontiac Firebird and Chevy Camaro were dead, and at the time GM didn’t have a replacement on the horizon. This meant that GM, for the first time in decades, lacked a midpriced, rear-wheel-drive performance car. Part of the reason was cost—by then the company had exclusively moved to front-wheel-drive platforms for its large and midsize passenger cars, so there was no easy way to share thedevelopment costs that could easily produce a rear-wheel-drive performance model. The Cadillac CTS chassis was one option, but the large car was designed from the outset as a premium chassis with a premium price tag. Building a less expensive CTS or badge-engineering it into something else would take away some of the prestige that it enjoyed. This left GM without options for a performance car that didn’t steer with its driving wheels. Luckily, the head at the time was Bob Lutz, an old-time car guy with a soft spot for lost causes. He felt that GM needed something to inject a bit of excitement into at least one ofits many brands; he chose Pontiac. At the time, it was the only brand with a lineup that was shockingly truck- and SUV-free—and it had the low sales to prove it. For raw material, he looked to the Holden Monaro coupe being produced in Australia since 2001 for local consumption and a few export markets. While Holden was a GM subsidiary, the capable car was not available in the United States in any form. But it had all the right features in place: small-block V8 power, left-hand-drive capability and a decent, if dated, rear-wheel-drive chassis. That chassis came to the Monaro by way of the VT Commodore—based on a widened and strengthened Opel Omega platform. The Omega, you may recall, was the same car that gave us the unloved Cadillac Catera. So in an odd twist of fate, the same Euro DNA came to the U.S. as two distinctly different products from different divisions of GM. Ah, the old days of platform sharing. According to GM media releases, the Holden chassis was adapted for U.S. consumers in only 17 months. Pontiac engineers revised the platform to accommodate American crash and emissions requirements as well as give the car a distinctly Pontiac look. One of the biggest changes to the Monaro involved moving the gas tank from below the trunk to behind the rear seat. This was done for crash safety, and later Australian-market cars inherited this change as well. The only fitting name for the new coupe came straight from the Pontiac history book: GTO. While the name was retro, the design was anything but. Unlike the most recent Mustangs, Camaros and Challengers, the Monaro-turned-GTO was a modern design with no vintage-inspired frippery. It was modern to the point of boredom, however—a trait that would later hurt the car’s prospects in the U.S. While the Monaro was available with a 3.8-liter supercharged V6 as well as a V8, Pontiac selected only the V8 version for the GTO. 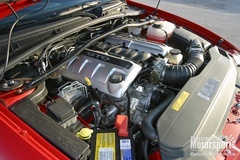 It was the 5.7-liter Gen III small-block used in the LS1-trim Firebird and Camaro, and the standard engine in the C5 Corvette. With 350 horsepower on tap, the 3700-plus-pound coupe could really hustle—at least in a straight line. 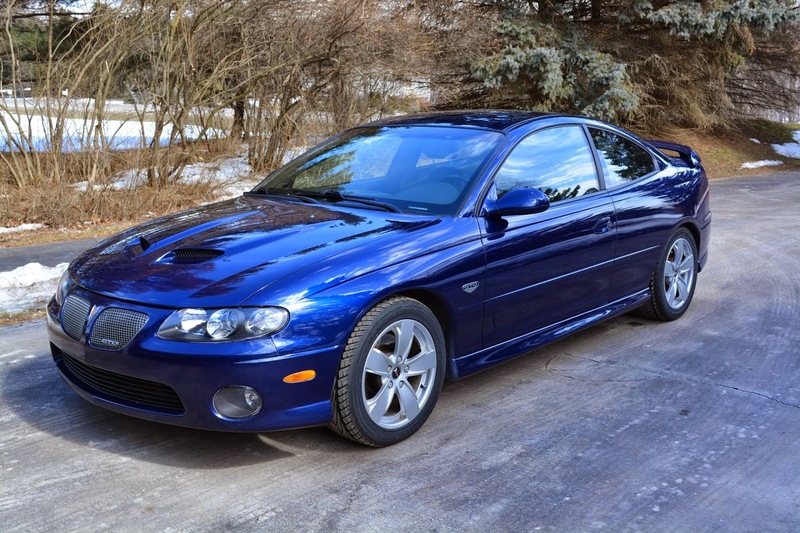 This all-new GTO arrived for the 2004 model year, and early magazine and blog reviews were cautiously positive. They were almost unanimous in praising the interior design, materials, and very non-GM level of fit and finish. A distinct lack of rattles and creaks, a low interior noise level and an overall refinement were on par with the best GM cars ever made. Some journalists even went so far as to compare it to cars like the BMW M3. The exterior styling was prudently praised for being subdued and free of the extraneous scoops, cladding and chrome so favored by Pontiac at the time. However, the flip side was that most reviewers felt the big coupe lacked the style and presence expected of a car bearing the name GTO. Other than the large wheels and tiny spoiler, there wasn’t much to hint that this was a V8-packing performance car. The engine, as anticipated, was a big hit. It made all the right noises, and when drivers prodded the right pedal the car moved out with authority. Straight-line acceleration was everything you’d expect from a car named after a ’60s muscle machine. On the road, reviewers liked the handling and ride balance, although there were some minor complaints about the harsh bumpstops. The big tires and wheels gave it decent grip, and a well-calibrated traction control kept lead-footed drivers out of trouble. Reviewers were not nearly as kind to the optional T56 six-speed manual transmission and its much-disliked skip-shift feature, which was intended to help fuel economy. It was a tough transmission to shift even at the best of times, and the GTO’s version was not the best of models. A soft clutch, soggy brake pedal and lackluster stopping distance took some of the edge off the GTO’s performance capabilities as well. No dead pedal was another minus. Unfortunately, buyers did not warm to the new GTO when it finally made it into Pontiac showrooms. Pontiac planned on selling at least 18,000 units per year, but the first cars sat on dealer lots for months. Discounts were needed to move old stock before the 2005 GTOs were slated to arrive. The slow sales were all the more disappointing considering how well the car was received by reviewers and how its performance stacked up against competitors. Here was a car with 350 horsepower that could do the quarter-mile in around 13 seconds, pull over 0.88g on the skidpad, and still cost less than $32,000. GM rightly guessed that the problem lay with the car’s lack of style and consequently put in some early changes to goose sales. Instead of waiting for the 2005 model year, a new hood sporting twin scoops—a nod to the original 1964 Pontiac GTO—was rushed into production late in the 2004 model year. The freshened hood was supplied to dealers as part of a Sport Appearance Package and also included a different rear spoiler and inset grilles. The improved styling helped move the remaining ’04s off dealer floors—eventually. The biggest change—and only substantial one—to the GTO was the replacement of the Gen III LS1 small block with the Corvette’s Gen IV LS2 engine. The new engine displaced nearly 6 liters and pumped out 400 horsepower and 400 lb.-ft. of torque. Along with the upgraded hood, this new setup seemed to be how the GTO should have been made from the beginning. 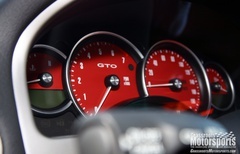 GTO sales stabilized as the production run went on. 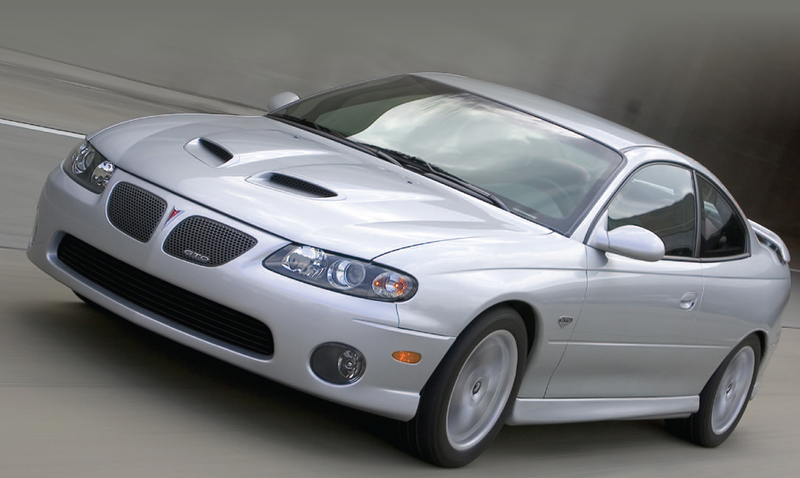 One more model year, 2006, was the final one for the GTO because the Holden Monaro was at the end of a long production run. And like the GTO, the Pontiac nameplate would be similarly retired soon after. At least we have the memories—as well as a fantastic performer for today’s enthusiast. More than eight years later, the Pontiac GTO still seems like an amazing bargain. Where else could you get a brand-new 350- or 400-horsepower, rearwheel- drive car for around $32,000? And when the ’04s were being clearanced for less than $30,000 (in some cases, even $25,000), the car was even more of a bargain. Depreciation rates for the orphan GTO actually seem a little lower than those of other GM cars from the era, although it’s still a relative deal today. Kelley Blue Book suggests that the earliest cars are worth a little less than $10,000, with later examples selling for more than $16,000. Street prices seem to be in the same range, with decent cars around the $15,000 mark. A quick perusal of classified ads on the Internet reveals a large number of salvage title cars. Like other high-powered cars that attract youthful drivers, many GTOs met their fate against telephone poles and other immovable objects. Today’s dwindling parts supply means that some cars are being salvaged after minor incidents, but our preference would be to find one that has a clean title. Some early cars had trouble with rear subframe bushings. As with the clutch issues, a technical service bulletin was issued. The chassis is pretty good in stock form, but Australian aftermarket tuners like Whiteline offer a large catalog featuring anti-roll bars, bushings and suspension kits. The GTO is already pretty low from the factory, but more performance is available if buyers are willing to compromise some ride height. The GTO’s commodious fenders can accommodate 17-, 18- and 19-inch tires. The later cars’ larger brakes are nice but can be installed on the ’04s without much trouble. As for which GTO to buy, the big thing to consider is whether the buyer wants the LS2’s 400 horsepower or is willing to settle for the 350-horsepower V8 used for the first model year. We'd buy the best manual-transmission car we could find and not worry about the extra power. The first modification to make to any manual-transmission GTO is a skip-shift remover. The skip-shift device forces the driver to shift from first to fourth gear unless the car is being driven hard. Removing this fuel-saving feature is simple: Just install the right resistor in line with the gear position sensor. Many performance parts suppliers sell a simple plug-in resistor to make this job super easy. As far as reliability, most GTOs have been remarkably troublefree. The LS1 and LS2 engines are tough and recognized as such, as are the T56 transmission and the rest of the drivetrain. 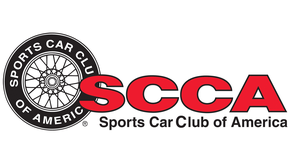 Some early cars had clutch issues, but a dealer technical service bulletin was issued to take care of these offenses. There is not a lot of free horsepower hidden in the LS engines, but they are the basis of a thriving aftermarket that will gladly build anything imaginable. From basic bolt-ons to 1000-horsepower turbo monsters, chances are someone has already done it— probably more than once. Some owners complained about paint quality and the finish used for interior trim parts. The fuel tank relocation for the U.S. market made the trunk fairly small for a nearly 2-ton car. If the motive is to confuse people, import Holden Monaro body parts to build an Aussie clone. Join Free Join our community to easily find more Pontiac articles. Lesson: The used bar of soap school of design works in Australia but never works on muscle cars in America. While the styling wasn't the most eye catching, most cars of the era were really ugly. I'm ok with plain. It was a nice car, pretty quick, very comfy seats, good noises. But it never felt as fast as 400hp should have felt to me, and it is a big boaty thing. I never minded the styling, it was stealthy, but I can see how it held the car back from a sales standpoint. It looked like a regular car, not what everyone thought/thinks a muscle car should look like. Neither did the 64 GTO. That's exactly how I feel when I test drove a GTO and a G8. Man, this sure doesn't feel like 400hp. 0 to 60 mph: 5.2 sec. While the GTO may not have been quite the sales success GM expected, it did teach the carmaker a few lessons. Chief among these was that Holden products could be sold in the U.S. The quality was there, but the GTO was a mismatch between what American consumers wanted and what Holden had already produced. While the GTO project was coming together, Holden was putting finishing touches on the Zeta platform. It was intended to replace the Opel-derived Commodore VT/VZ chassis, which spawned the Monaro and GTO. Apparently GM took note of the strengths of the Zeta and decided to use it as a basis for future rear-wheel-drive sedans and coupes, including the upcoming Camaro. In a move toward assembling a traditional rear-drive lineup like Chrysler and Dodge, Pontiac was to get a Zeta sedan to replace the Bonneville and Grand Prix. Again, the new car was a rebadged Holden—in this case, the Commodore. Just when it seemed like the whole concept of a rear-wheel-drive performance sedan was dead at GM, a whole new family of them was slated to appear in showrooms for 2008. 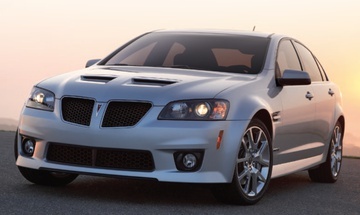 The Pontiac G8, the first American version of this new chassis, originally was offered with either a GM corporate V6 or a Gen IV small-block V8 producing 361 horsepower. Both engines were available only with automatic transmissions, and the car came exclusively in a sedan body. It was well liked by reviewers for overall refinement and performance, and many car enthusiasts hailed the launch of a new fun car under the GM banner. Teasers of a version featuring a 425-horsepower LS3 engine, Nürburgring-tuned suspension parts, Brembo brakes and a six-speed manual transmission only sweetened the package. Unfortunately, the G8 had unparalleled bad timing. 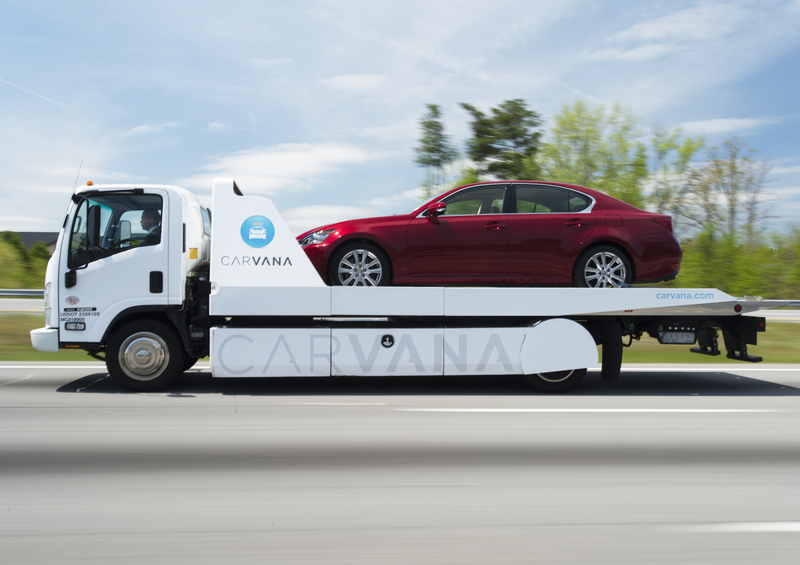 Production of the large, heavy car with poor mileage figures commenced in late 2007, and the car appeared in dealerships just as gas prices were spiking. If that weren’t enough, the hotrod GXP version went on sale in late 2008, just as the world economy was heading into its worst recession in several generations. All this poor timing and bad corporate planning conspired to doom the car that should have been a contributor to the rebirth of Pontiac as a true performance division within GM. By the end of 2008, nearly half the total G8 product still sat on dealer lots, and a few months later, Bob Lutz announced the end of the Pontiac brand. For a few months, at least, hope remained that the G8 would come back as a new Impala or other GM car, but even that was dashed with the bankruptcy and reorganization of GM in June of 2009. Recently, the Zeta platform/Holden Commodore has been given a new lease on life as the basis for a line of Caprice-badged police cars in the U.S.
Today, the G8 is a bit of a novelty. Only about 1800 copies of the hotrodded 2009 GXP models were produced out of a total G8 production of around 40,000 units for 2008 and 2009. The V8-powered GT models are a bit more common and could make an interesting daily driver for a fan of GM V8s.